In regards to spell research, what modifiers are there for trying to invent an arcane version of a divine spell or psionic power? Notwithstanding GM fiat, is such a thing possible (e.g. an arcane cure light wounds, or an arcane hypercognition)? Well, it is a perpetual (and much-argued) point, but Bards are specifically noted as casting arcane spells, and they get Cure Light Wounds. Ergo either it’s possible or Bards are using some unique form of magic or it’s a mistake that was never fixed. 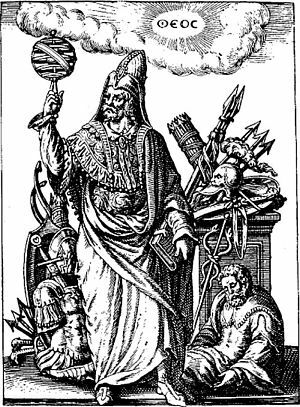 My usual first and second-edition theory was that divine magic offered an advantage in fine control, since the god – from whom the cleric was presumably drawing the power for his or her spells – filtered, regulated, and partially shaped the power of raw, wild, magic (whatever its source might have been in a given game) before passing it on to his/her/its clerics. Ergo, divine spellcasters had far better fine control than arcane spellcasters, but less raw power and a spell selection that was strictly limited by the nature of their god. Therefore spells calling for very fine control – such as healing – were a lot easier for divine spellcasters, while spells calling for raw power (fireball and meteor swarm) were a lot easier for arcane spellcasters. Very high level divine spells – like Earthquake – presumably called for the direct attention of the deity or the greater powers of nature (or whatever), but that was reasonable enough; they were supposed to be major miracles. Dragon Kings, and the original Tome of Magic, complicated things with Psionic Enchantments and Quest Spells – but not very much. Those had explanations for how they surpassed the normal limits. Then, of course, third edition replaced the Spheres, and the notion that each god would probably only offer a sublist of the general clerical spell list, with a fully generic spell list restricted only by a few aligned spells and the Domains – most of which contained quite a few arcane spells. It would be easy enough to add the notion that each god provided more power – enough to match arcane spellcasting – in his/her/its specialities, but it’s a good deal harder to account for the fact that such a large percentage of the spells are now quite identical without assuming that the power sources involved, and the ways that they’re manipulated, are almost identical. There really isn’t much distinction when it comes to Arcane and Psionic effects either. There may not be an “Arcane Hypercognition” – but “Moment of Omniscience”, with pretty much identical effects, certainly seems reasonable. About the only real distinction now is theme. Clerics get healing and a better selection of buffs and defenses. Druids get more nature-related spells, Bards lean towards sound, illusions, and mental effects, and Wizards and Sorcerers get the big energy attacks, the odd stuff, and a dose of almost everything else EXCEPT healing – unless they want to invest in, say, Limited Wish to duplicate such spells. Given that, at the moment, I’d recommend a very simple modifier: if you want to research a spell that the game master feels is “out of theme” for your character type, about +4 spell levels seems appropriate – a modifier high enough to explain why no one bothers. Otherwise – given how popular the idea of researching some effects is – I’d expect the existence of such spells, and why no one uses them, to be fairly well known. In Eclipse, the simplest option is to simply take the basic Theurgy ability (not the Theurgy magic system; I just ran out of names for magic systems). It allows the user to convert spells from one list to another, albeit with an increase of +1 to +2 spell levels. That’s a pain, but it does put the spells on your list of potentially-available spells – and so will let you use wands and other spell-trigger items containing them without further fuss. That can be pretty handy. Alternatively, you can use one of the freeform magic systems – but if you’re asking the question, your game master probably isn’t letting you use those. A simple first or second level arcane spell – perhaps named “Mystic Surgeon” – might expand on what you can do with the Heal skill, allowing the use of the expanded table that this character uses. Polymorph heals injuries as if the character transformed had rested for a night. Ergo, “Plasmic Flow” (at level two) might render the recipients flesh momentarily malleable, and then let it revert to normal without bothering with the full Polymorph effect, healing the target similarly. At level three a similar spell (lets call it “Wounds like Mist”) could “pulse” several times, thus providing several days worth of healing – potentially more effective than a Cure Serious Wounds spell at higher levels. Now, if you can Plane Shift at spell level seven, and – relevantly – create an Antimagic Field at level six, then Invoke Dimensional Overlay should be about level seven. That would have a short range and affect a 15′ radius for up to five minutes per level of the caster (unless dismissed). This spell would give the affected area the planar traits of any co-existent or inner plane or any other plane which the caster has personally visited. You could use that to heal by tapping the Positive Energy Plane – or to enhance a variety of other abilities by tapping into various other planes.